Despite Future’s claims that he doesn’t have a problem with Ciara & Russell Wilson, a source close to the rapper told HL EXCLUSIVELY that he bailed on performing at a party because they had arrived. Before the big wins and upsets at the Grammys last night, the Clive Davis Pre-Grammys Gala was in full swing on Saturday night. 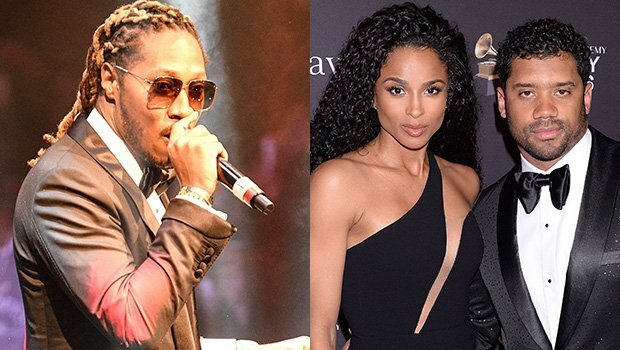 However, while Future was slated to perform at the Feb. 9 party at around 10:13 pm, a source close to the rapper who was also at the party told HollywoodLife EXCLUSIVELY that once Future found out that his ex Ciara and Russell Wilson were at the party, he bailed on performing. “Future was excited to perform at the Clive Davis Pre-Grammy Gala and before he was going to take the stage he was made aware that Russell Wilson and Ciara were in the room,” our source told us. “He was bummed about performing and I am pretty sure he left the party all together at that point because he wasn’t seen afterward.” Apparently, Future was set to perform two songs — “Mask Off” and “Crushed Up”.